For more than twenty-five years, Maureen Gallace (b. 1960) has painted genre scenes drawn from the American landscape and still life traditions. 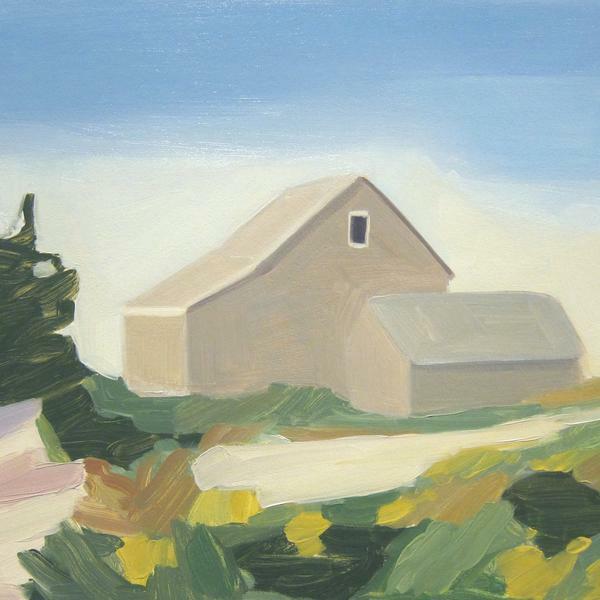 Her small canvases and panels most commonly depict rural pastorals and coastlines, typically featuring nondescript barns or cottages amid dunes and foliage in settings that evoke holiday cards and vacation snapshots. Gallace’s paintings, however, unsettle the reassuring sentimentality of such pictures. Situated on sunny bluffs and among verdant yards, her buildings can appear at turns idyllic and inaccessible, often lacking doors or windows. Paths meander through lush gardens, but may also lead the viewer astray; infinite vistas over the ocean collapse into shallow, intimate compositions. From the outset, Gallace has deployed a range of abstract tools to complicate the romantic enticements of her subject matter, giving rise to a quietly remarkable body of work. This exhibition features the largest group of Gallace’s paintings yet assembled. While her paintings often begin in reference to specific places that she has visited or known, Gallace deftly transforms her subjects into composites of different memories and forms, many of which repeat in variations throughout her work. Both familiar and impersonal, her art reflects a desire for beauty and solitude while inviting us into a broader meditation on our common culture. Whose bucolic landscape is this? And, for that matter, who lives here? Gallace avoids narrative description of her work. “The house doesn’t mean anything per se,” she has said. “It’s an empty vessel.” But her uninhabited scenes touch upon deeper questions of belonging and ownership that shade the idealism of American history and contemporary life. 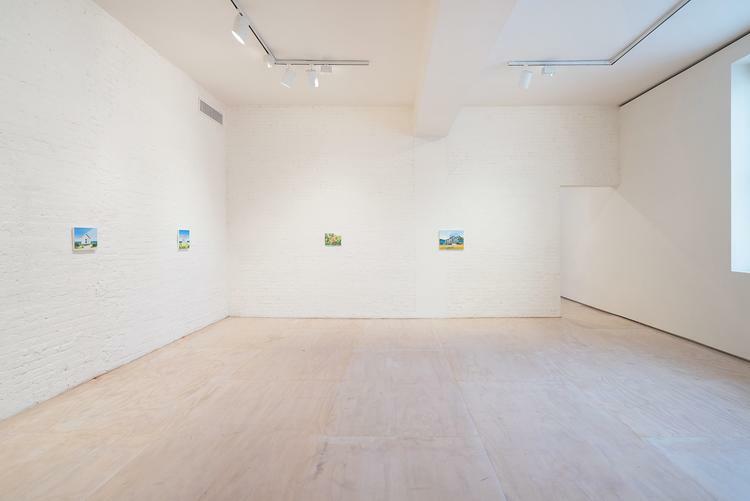 In their modest domestic scale, her paintings serve as anti-monuments for an era of “too-big-to-fail”; her obdurate homes punctuate the shortening horizons and factional regionalism of a changing and divided America. The shadows are crisp on a clear day. Organized by Peter Eleey, Chief Curator, MoMA PS1 with Margaret Aldredge Diamond, Curatorial and Exhibitions Associate, MoMA PS1.